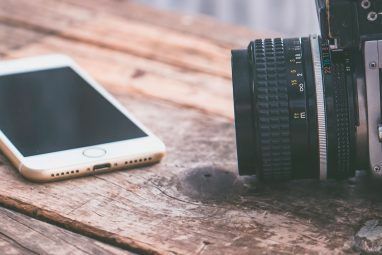 Back in May, MakeUseOf published 10 Tips to Take Better Digital Pictures With Your Phone’s Camera 10 Tips To Take Better Digital Pictures With Your Phone's Camera 10 Tips To Take Better Digital Pictures With Your Phone's Camera Read More . 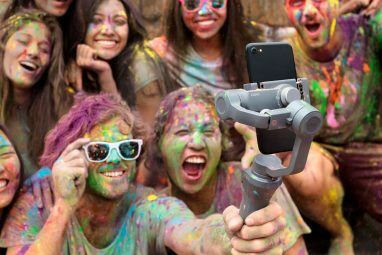 In this article, I will address some particular common cell phone problems that users run into when taking photos with a cell phone camera; and we all know, there are plenty. The problems addressed in these article will apply to most any cell phone camera, though I use the iPhone 3G camera for illustration. The easiest and probably most common cell phone problem with cell phone photos is they end up blurry. This occurs for a couple of reasons. Cell phone cameras need to be properly held. You always want to hold the camera steady with both hands. The tricky part is clicking the shutter button after holding and composing a shot. So one thing to remember is that typically the shutter of the camera does not activate until the button is released. That means you can first push and hold down the button, frame your shot, and then release the button to release the shutter. Avoid trying to frame the shot while you push down the button. Also try to rest part of your phone on one of your fingers or in the palm of your hand to get a firm grip. You might also try bracing your camera against a wall or on a table to help you steady a shot. Even setting up a tripod for your cell phone camera is a useful idea for portrait and group shots. The less ambient light you’re shooting in, the more likely you’re going to get blurry photos. Because you can’t increase the shutter speed or open the aperture wider on a cell phone camera, you need to shoot in the brightest area possible, or use a flash if your camera has one. If the shot is not blurry but still not as sharp as it needs to be, you can try using an image editor to sharpen the images — but this is less than ideal. Furthermore, to shoot moving subjects like children you definitely want to shoot in the brightest possible light to compensate for the slower shutter speed. The photo below is an example of the type of moving subjects that are nearly impossible to freeze capture using a cell phone camera. As with most digital photography, photos typically lack good contrast especially when shot in low light settings. The best solution for this is using an image editor and processing photos after they are taken. Image editors such as the free iPhone app, Photoshop Mobile Photoshop Mobile - A Freeware Image Editor for Your Mobile Photoshop Mobile - A Freeware Image Editor for Your Mobile Read More , have automatic brightness/contrast tools that can make the colors in your photos pop. There’s an easy solution to this one. Shoot close. You need to zoom in with your feet, even if you camera has a digital zoom. Fill the frame with the subject of the image. This is something that you do no matter what you’re using. In an image editor, you can also crop your images The Basics of Photo Cropping That You Should Understand The Basics of Photo Cropping That You Should Understand Read More to make the subjects closer; however, because cell phone cameras have lower resolution than many point-and-shoot cameras, cropping too much may result in increased pixilation, especially when photos are printed. So zoom with your feet, instead of the lens, to get the best close-up you can. Experiment with shooting from different angles to get a better shot. The obvious problem with dark photos is that there was not enough light when you took the shot. If your camera does not have a flash and you’re shooting in a low light area without a flash, there’s really nothing you can do to address this problem except get more light on the subject. Indoor lights at night are typically not enough light for cell phone cameras. You will need a flash. Also, watch for what is called backlighting. That is, when there’s more light in the back of the subject than there is facing the subject. So make sure the light is coming from behind you and is facing the subject. 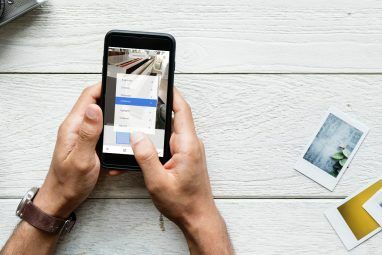 In my experience, camera apps like the free and pro version of Camera Plus for the iPhone Take Better Pictures on iPhone With Free Camera Plus Take Better Pictures on iPhone With Free Camera Plus Read More address some the problems described above. While cell phone cameras may never be a good replacement for point-and-shoot cameras, the portability of mobile cameras make learning how to use them more effectively worth the effort. Let us know how you fix particular common cell phone camera problems. Have you found an application or two that is helpful for your camera photography? The camera is forecast to shoot 64-megapixel photographs and will most likely allow you to take photos now and concentrate them later. To begin with, you have to prepare the camera using Internet Explorer. Apart from its compact designs and simplicity of use, pocket cameras are also considered very inexpensive. If you are looking forward to buy an HD pocket camera but are torn about selecting which one is the right for you, you need to first make a list of your preferences. The most significant thing about the camera is the users are expected to care for some battery related problems. On the flip side, its camera has arrived in for some significant criticism, and has come to be the middle of ridicule. Mirrorless cameras like the Olympus PEN series utilizing the Micro Four Thirds sensor format possess the widest collection of mirrorless cameras because they've been around the longest and are accessible from several businesses. If your camera does not have WiFi, you should find a remote shutter which works with your camera. Most cameras can capture high excellent video provided that there is great lighting. In any event, most modern cameras can handle a small quantity of camera shake to make a sharper picture, but can not compensate for bigger movements. Thanks for the feedback, William. I mainly speaking in this article to iPhone users who don't of course have spot metering on their camera. When I subtitled "Image Are Dark," it means that's a problem cell phone camera users might experience with their photos. Sometimes that might be because they are are shooting into the light or they shooting without enough ambient light on the subject. You define the issue in more technical terms which is fine, for it adds another layer of understanding for some readers. So thank you for your input. On the "images are dark" one the issue actually isn't that there isn't enough light. The shooter had the phone pointed at the sun, which was fooling the auto exposure into thinking the scene was lighter than it was. It's good when shooting to keep an eye out for bright spots of light and how they might influence your auto modes. That goes for any time you're usually a camera in full auto. Of course, spot metering fixes that (or going manual).